My Summer Cottage in Babylon: What happens in Amish country stays in Amish country. What happens in Amish country stays in Amish country. 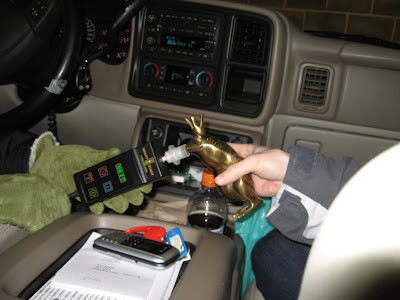 So picture, if you will, five Mormon women (including all four members of the Relief Society Presidency) cruising around Amish country, constantly playing a game of beat the clock with a breathalyzer. And making the inevitable bj jokes. 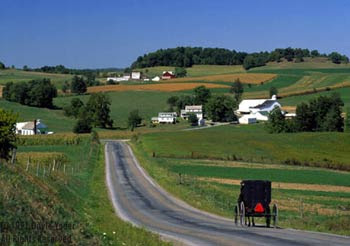 FYI, I am sort of from Amish country. I went to high school in Lebanon, PA, about 45 minutes north of Lancaster, and my parents still live there. My parents' house is surrounded by Amish farms, and black buggies are a regular sight on their street. All the Mennonite ladies around here (the ones wearing a little white mesh bonnet of sorts to cover the bun in their hair) make me feel at home. 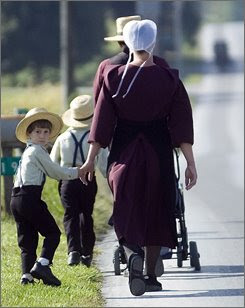 And the Amish speak a dialect of Deutsch, not Dutch. Living in Germany, especially southern Bavaria, also made me feel right at home. Anyway, it is VERY easy for me to picture the scene after the Amish dinner. And it's FAN-FREAKING-TASTIC!!!!! Ha! That was such a crazy trip. My head hurts just thinking about the crazy ways we had to blow to get that thing to go. I need more weekends out with the girls. That was way too much fun! April, where did you go to college? In case she doesn't stop by again for awhile, she went to York. (I'll save them all up for tomorrow!) HA! Girls weekend? Did someone say girls weekend?? ?